I really like the way the Nissin Pals SP Pro twisted Tenkara Line connects to the Lillian. I have never liked the girth hitch or the slip knot method. 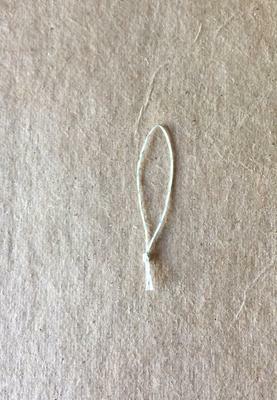 The Nissin line uses a sliding knot to secure the line to the Lillian. It is easy to put on and take off. It is very secure. I found a very easy way to make the same kind of connector for your lines! My Dad died several years ago, and left me with boxes and boxes of tackle. I remember seeing these bobber stops (picture 2) in all of his stuff, and it looked like the sliding knot on the Nissin line. 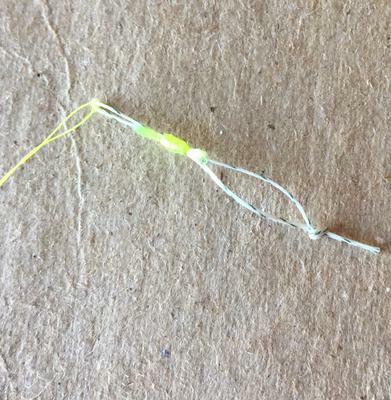 So, I made a loop out of 15 pound test braided fly line backing (picture 3), followed the directions forthe bobber stoppers, but put the loop in the tube instead of a single line, (picture 4) and it made the same connection as the Nissin line. I used a simple loop connection on my Tenjo line, and I am in business. I tested it several times in the backyard casting and it works great! The nice thing is the loop is easily replaced if frayed or damaged. I am going to be using this method on all of my lines from now on. 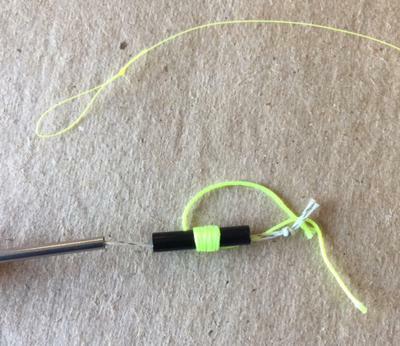 If you are looking for an easy, neat way to attach your line to the Lillian, give this method a try! How is this less complicated than the slip knot I use for my level line? I am not saying this method is for everyone. I have had slip knots slip and I have had to start over. Another thing I love about this setup is the line hinges freely off the lillian. I just don't like it when my line doesn't come straight off of my rod. The little slider knot just slips up the braided line so easy and is ultra secure to the knot in the lillian. By putting the tag at the top you have two little lines to hold onto as you slip you forefinger and thumbnail into the slider and in an instant your line is undone. I think sliding something up or down is much easier than tying a knot. Yes there is some prep work before going fishing. I have also been fishing in very cold weather, and this method works great when your hands are almost numb. That Nissin line is so sweet, I began thinking about how to duplicate the attachment method, and found a very easy and simple way to do it! Give it a try, you might like it. I don't even think I am violating traditional Tenkara since the Nissin lines are according to Chris, made by,"Hiromichi Fuji, one of the true tenkara masters in Japan, who personally makes all of the Nissin PALS twisted tenkara lines." I just wanted to share my excitment that this attachment method can be done easily. 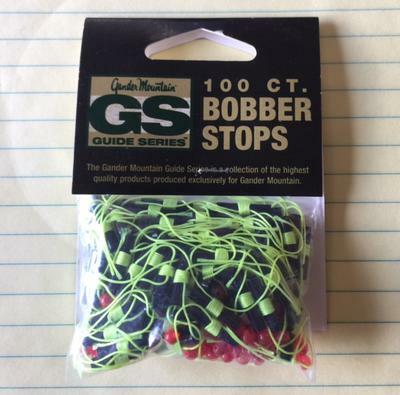 I also saw the bobber stops at several of the sporting goods stores in my area, so they are not that hard to find. Take that bobber stop and just place it on the loop at the end of the level line. Then girth hitch as you would on a lilian with a knot, then slide the bobber stop up against the girth hitch. Very secure. I've caught good sized fish that way here. Your way, using the braided line loop as an intermediary does have the advantage of making the connection between line and lilian more flexible. I've been enjoying your informative write-ups on Chris's website once I noticed you're in Caldwell. I'm newish to these amazing long rods and would be interested in buying you a cup of coffee one of these times for a face-to-face. I apologize to readers that this isn't in direct response to Les's Lillian article but couldn't find another way to reach him. It would be nice to have a cup of coffee together. My schedule is crazy for the next few weeks. (I will be in Texas later in the month.) I am easy to find. One of my passions is coffee, and I make custom espresso tampers under the name Thor Tampers. If you google Thor Tampers you will get all of my information. Better than coffee, it would be fun to fish together. I am fairly new to Idaho, and am still learning my way around here. AMAZING woodworking skills; these are beautiful tampers. I, too, have a crazy few weeks ahead of me but that coffee offer still stands. It may take us a few casts but I'm sure we'll be able to find a time that works for both of us. Your contact page isn't allowing me to send my contact info; the submit button isn't submitting. You can reach me at zonline at Earthlink dot net.